Shipping and receiving goods has grown exponentially over the past several years with big businesses like Amazon coming in and offering a wide range of goods to consumers. Due to the increase in demand, it’s only natural that the shipping industry would look for additional ways to get goods from point A to point B. Freight shipping is an old answer, one that was used for decades before other means of transportation were available. Now, with so much expansion, we’ve begun to revert back to this age-old and reliable means of shipping products. Freight shipping options can lend themselves to a variety of products, whether it be food or perishables, electronics, furniture, or miscellaneous items. So while it may be ironic that in a time of technological progress we return to an original means of transporting goods, it makes sense, and here is why. One thing that all companies consider is the bottom line. Utilizing freight shipping can eliminate the use of commercial gas, which always has a fluctuating cost. Freight does not require the use of gas, so it’s much more cost effective. Furthermore, railways are extremely economical in that they don’t require the same fuel and are able to cover farther distances than most regular shipping methods. The plus side of the railway is that almost anything can be shipped by rail. While trucks can be a good solution for goods traveling short distances, the farther a product needs to travel, the better a solution railway will become. Most shipping companies work within a predesigned shipping strategy, which means they already have routes planned out and your goods will get there on the shipping company’s schedule—not your own. With freight shipping, a freight-management company will do their best to work within your parameters to fit your business, not the other way around. 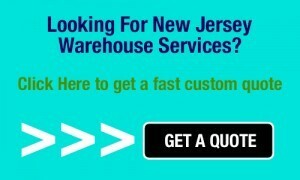 You’ll be able to find a customized approach to shipping your products in a way that delivers the best return on your investment. Freight shipping can be very business-centric in that freight-management companies want to please so they can have repeat business. Other standard shipping methods won’t go out of their way to ensure your goods are delivered in an appropriate time—and if they do, it’s certainly for an added cost. If you are trying to keep your company eco-friendly, using railways is one way to reduce your carbon footprint. When merchandise is moved through railways, it creates less of an environmental impact than those transported through trucks. The fuel efficiency is much greater on rail siding than it is for trucks, leading to fuel reduction and related carbon emissions. The benefits of utilizing the freight systems aren’t just specific to big or small businesses; there are numerous public benefits including the decrease in road congestion, highway fatalities, fuel consumptions, logistics costs, and public substructure maintenance costs. So the public might also be appreciative of your choice to go with rail siding versus trucks. When you utilize freight shipping, your products are shipped in containers that are grouped together and easily tracked through in-transit, pick up, stop-offs, and delivery. Freight companies can provide intelligent data tracking and reporting that could aid your business in certifying that you’re maximizing efficiency when you ship. Everything placed into freight shipping is carefully organized and labeled for successful and accurate delivery of goods, meaning you can ship more products at once time. With freight being a technology developed some centuries ago, you can be sure that it’s still a solid means of transporting goods. Engines are stronger and faster, working on various means of fuel. Cargo trains are still as spacious as ever with enough capabilities to transport goods from A to B. The freight industry is slowly moving into a digital age, gaining further technologies that allow the shipper various logistical services to plan, arrange, and facilitate the transportation of goods reliably and effectively. 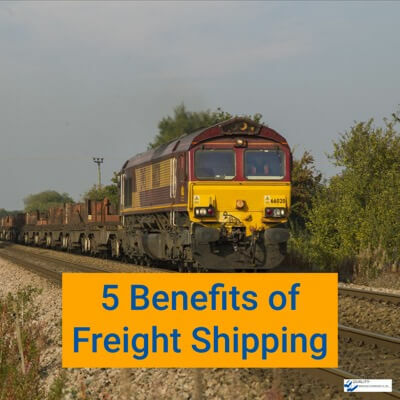 Freight shipping may seem like a blast from the past, but it’s still a very economical and practical means of transportation. Product shipping is in high demand, growing each year with the amplification of online shopping. So while it might seem like a technology from a bygone era, think about all the railways that still exist, and how much faster a train can move when there isn’t rush-hour traffic in its way holding up deadlines.